At the suggestion of Huth I have created a number of hooks for investigative/horror games based on 1950s sci fi and horror movies. Investigators attempting to stop an alien plot find their inquiries blocked by the police. Could this be the result of mind control? 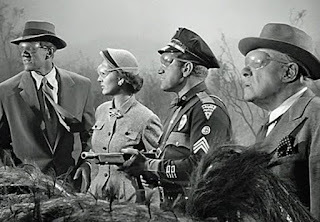 (Invaders from Mars). A think-tank of scientists and politicians turns out to be a front for an alien conspiracy. (This Island Earth). Explorers discover a subterranean civilization similar to a lost empire, but adapted to its fantastical surroundings. 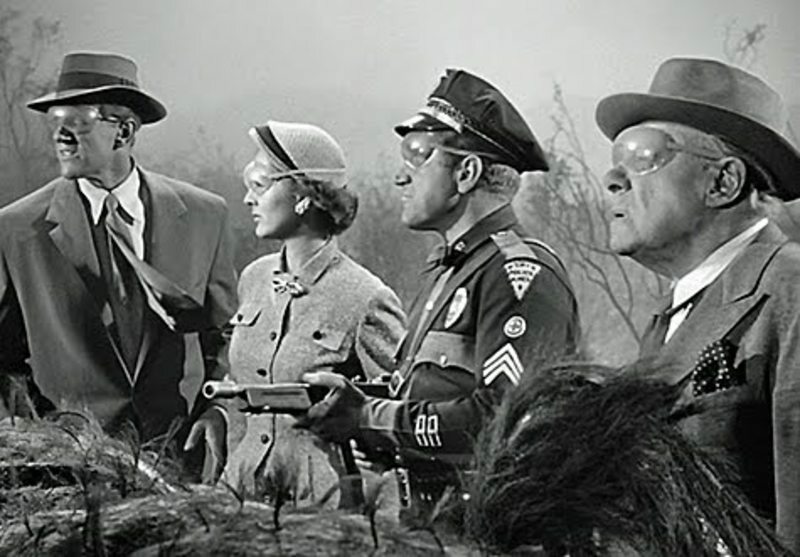 (The Mole People). Creatures created by atomic testing absorb the memories and intelligences of those they devour, allowing them to plan a world-wide empire. (Attack of the Crab Monsters). Here's a bonus one from 1963, since Blue Oyster Cult wrongly thinks its from the '50s. Normally I do these posts for something I haven't developed as much as I have Karse, which I've posted about a few times, but I want to nail down some of the bigger picture stuff and think about how I would actually run it. The name, I should note, comes from taking Sark and Gygaxifying it. After hearing it said "Cars" by a number of blog readers I play online games with, I added the E to make it clear it rhymes with arse. Apparently there is a place in the Forgotten Realms called that, but I haven't thought of a better name yet. Karse is made up of a set of islands - a largish main island shaped like southern Britain, smaller islands that are like a split off version of Wales and Cornwall, and an archipelago like the Heberdies stuck at the top. The main island is home to a fair number of towns and one city - the capital of Nindle. The area between these towns is sparsely populated moors and marsh or the occasional greenwood. These between-spaces are the haunts of giants (leftovers from the first race to live on the islands), fairies and elves (the second race), the undead, and vicious bandits. In a crater lake north of Nindle there sits an island. On that island are the ruins of Llamalot, the capital of Rutha the Unconquered who united the peoples of Karse long ago. This acts as a large dungeon/ruincrawl for those who like that sort of game. Travel between towns is fraught even in the day time. Visibility is rough due to the almost ever present mist which is only occasionally banished by the Sun, whose glare then blinds the Karslish eye unused to its presence. The most famous giant roams the remains of the road between Nindle and the ruins of Llamalot. His name is Headless Jack. Once he had two heads, but Brutus, the son (or maybe father?) of Rutha took off one of the heads and now he roams the countryside mourning the loss of it. If you hear his cries come from across the moors you'll get the shits. The idea, in case it was not clear before now, is to create a kind of spooky/miserable setting based on British folklore, folk songs, Arthurian Myth, Celtic Mythology, and filtering that through the World of Nightwick as already established. Other monsters include fomorians, linworms, nuckalavees, and any number of other British or Irish bugaboos. Social class would play a big part in town - where the gulf between the nobles and the peasantry is vast - but very little part in the misty wastes between them. Brian Froud and Alan Lee are major visual influences but you kinda have to imagine them with meth mouth. 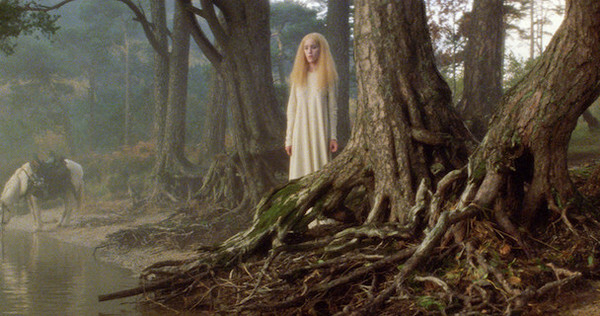 The over all effect, I hope, will be something like a mix of Excalibur, Jabberwocky, and Hammer Horror. I'm not sure if I would use some version of D&D for this (either OSD&D or 5e) or some WFRP derivative, given the tone. That goblin is feeling it. Naturally this propensity has made it into my refereeing. Nightwick's rooms are often blood-spattered abattoirs and enemies often fly apart like the clay and goo effects of Evil Dead. In the early days of my DMing the PCs were just as likely as the monsters to be described as walmart bags full of blood and wet chicken parts. This led to my having a reputation as a killer DM even more than I do now. 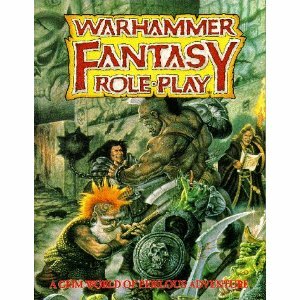 That was until what remains either my first or second favorite rpg: Warhammer Fantasy Roleplay (2nd edition). ** In WFRP (1e and 2e anyway) instead of hit points you have Wounds (which are basically hit points but their name is taken from the wargame rules). When a character runs out of Wounds, they do not die as they would in OSD&D, but instead they go to something like a OSR Death & Dismemberment table. These are called critical hits. It is a bit more detailed than a typical Death & Dismemberment table, with hit location mattering (though usually only for crits) and some optional tables differentiating results based on the type of weapon used. This is maybe a bit much for many refs, but I found reading off the hideously detailed descriptions of evisceration very appealing. Another difference between a WFRP critical and a Death & Dismemberment table result is that the character could very easily still be alive and capable of taking actions, though at a penalty. A character who has had their knuckles jammed can push on if they feel brave enough, but may end up losing a leg or dying of gut rot. This is an obvious inference from what I've already said, but I think it bears reinforcing: WFRP crits were not like D&D crits. They did not happen on a special die result, they happened when you ran out of wounds. They were a buffer between the character and death, but they were a buffer that allowed me to revel in spilled blood. The characters no longer had to die to satiate my desire for gore; in fact, the means by which I got to describe the gore usually meant the PCs were alive longer. "Critical hits are a staple of WFRP, and in Fourth Edition occur on especially successful blows, as indicated by the roll of a double. In addition to extra damage and special wounds, critical hits can inflict a variety of Conditions that change the way combat works for those who receive them." To my mind, that misses a lot of what made the original system good, and when combined with the weird meta resource of "advantage" it looks like I'll be sticking to 2e for any adventures I want to have in the Old World. One last thing: There's a kickstarter where I'm a stretch goal. *I suppose I am not one for scenes of torture, preferring instead the explosion of sudden violence. **One of my players in my first WFRP campaign said that "[I had] been waiting for the system my whole life" in order to express his view that WFRP fit me like a glove.